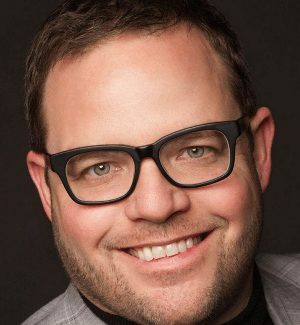 Jay Baer is the founder and President of Convince & Convert. Jay has advised more than 700 brands since getting started in online marketing in 1993. He is also the New York Times best-selling author of five books, including his latest, Talk Triggers. In addition to strategy consulting, the firm also runs Convince & Convert Media, a fast-growing education company that produces six podcasts, a digital magazine, email, webinars and white papers. Jay’s Social Pros show was named Best Marketing Podcast in the 2015 Content Marketing Awards. In 2017, Jay was inducted into the Word-of-Mouth Marketing Hall of Fame by the Word-of-Mouth Marketing Association. And in 2018, he was enshrined in the Professional Speaking Hall of Fame, where there are just 187 living members. Jay is the most retweeted person in the world among digital marketers and one of the top 3 most influential people online among CMOs and B2B Marketers. His is also an avid tequila collector and a certified BBQ judge. What Jay was doing (and really disliking) before joining an internet company. Enduring lessons from working at a high-growth internet startup when no one was using the internet or had a website. What the online marketing landscape looked like when Jay got started in the industry. What Jay and his partners got when they sold the Budweiser.com domain name to Anheuser-Busch in 1993. Why Jay decided to build Convince and Convert differently from his past companies. Why influencer marketing is just affiliate marketing wrapped in a different cloak. How the concept of performance is perceived differently between B2B and B2C companies. Why you’re better off telling one story about your company over and over in different, interesting ways versus telling six different stories. The big challenge with all marketers today. When prospects typically want facts and figures in their consideration journey. Jay’s Christmas tree analogy to starting new businesses. What the Hatrix is and how customer service teams can use it. What Herb Kelleher said that had a real impact on Jay. What talk triggers are and why they are so important to business. Two mistakes Jay’s learned the most from.